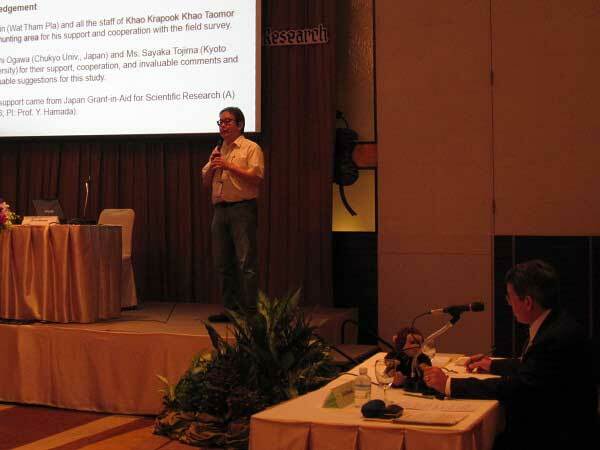 Presentation at an international symposium on "Diversity and Evolution of Asian Primates," and a research meeting with Thai researchers concerning a joint-project on age-related morphological changes in the long-tailed macaques in Thailand. 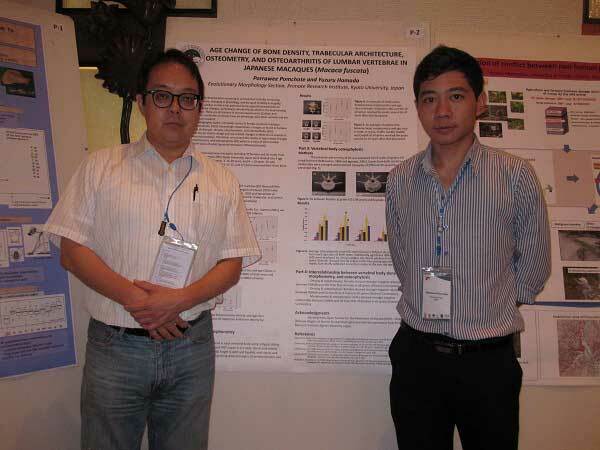 Porrawee Pomchote and I attended an international symposium entitled, " The 3rd International Symposium of Southeast Asian Primates features: Diversity and Evolution of Asian Primates," which was held in Bangkok, Thailand from August 27-29, and gave presentations on "Age change of bone density, trabecular architecture, osteometry, and osteoarthritis of lumbar vertebrae in Japanese macaques (Macaca fuscata)" and "A comparison of locomotor kinematics of two semi-wild macaque species (Macaca assamensis and M. arctoides) in Thailand", respectively. We also exchanged information and opinions with the participants from various nations concerning primate ecology, morphology, behavior, genetics and many other topics. 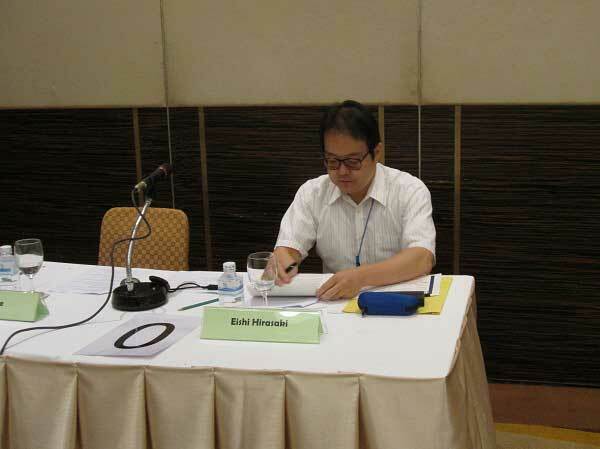 Pomchote is staying in Bangkok after the symposium, and will do a research on age-related morphological changes in the long-tailed macaques at Chulalongkorn University. To support his project, I had discussions with Prof. Suchinda Malaivijitnond of Chulalongkorn University concerning the preparations for his research and confirmed the protocol he will follow.